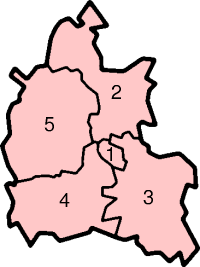 The county of Oxfordshire, at that time entirely situated to the north of the River Thames, was formed in the early years of the 10th century. Historically the area has always had some importance, it has been valuable agricultural land resting between the main southern cities and containing the prestigious settlement at Oxford (whose name came from Anglo-Saxon Oxenaford = "ford for oxen"). Ignored by the Romans, it was not until the formation of a settlement at Oxford that the area grew in importance. Alfred the Great was born in Wantage. The University of Oxford was founded in 1096. The area was part of the Cotswolds wool trade from the 13th century. The Great Western Railway reached Didcot in 1839. Morris Motors was founded in Oxford in 1912 and MG in Abingdon in 1929. The importance of agriculture as an employer has declined rapidly in the 20th century; currently under one percent of the county's population are involved. 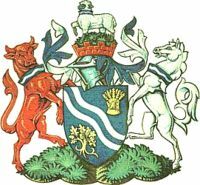 In 1808 the county had fourteen hundreds, namely Bampton, Banbury, Binfield, Bloxham, Bullingdon, Chadlington, Dorchester, Ewelme, Langtree, Lewknor, Pyrton, Ploughley, Thame and Wootton. The Oxfordshire and Buckinghamshire Light Infantry was based at the Barracks on Bullingdon Green, Cowley. The Vale of the White Horse and parts of South Oxfordshire south of the River Thames were historically part of Berkshire, but were added to the administrative county in 1974. 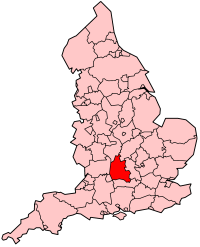 Conversely, the Caversham area of Reading was historically part of Oxfordshire. This is a chart of trend of regional gross value added of Oxfordshire at current basic prices published (pp.240-253) by Office for National Statistics with figures in millions of British Pounds Sterling. Oxfordshire has a completely comprehensive education system with 23 independent schools and 35 state schools. The state schools are from the ages of 11 to either 16 or 18. Only eight schools do not have a sixth form; these are mostly in South Oxfordshire and Cherwell districts.